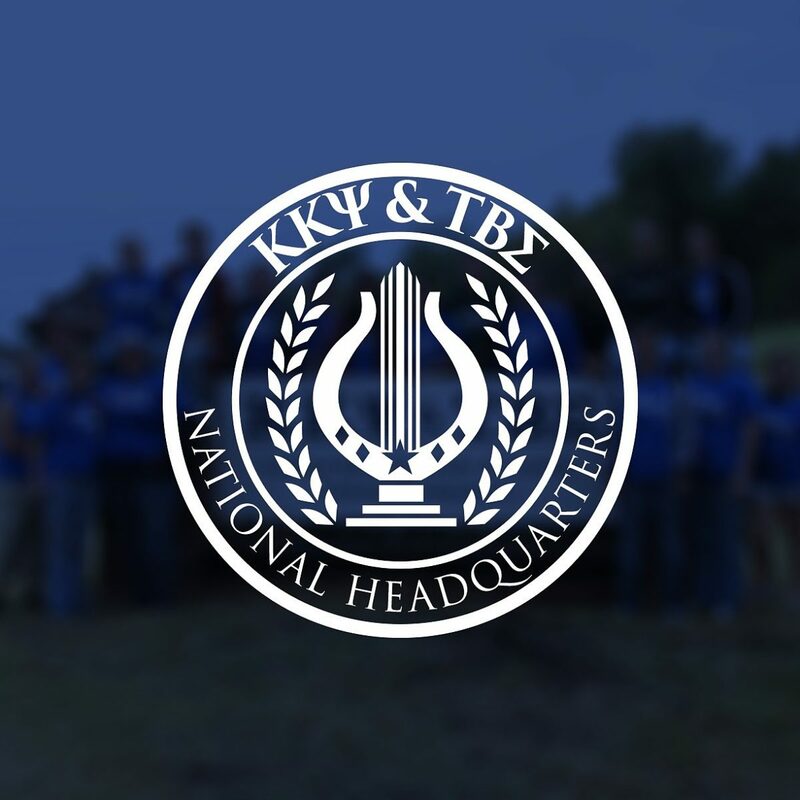 Kappa Kappa Psi National Honorary Band Fraternity & Tau Beta Sigma National Honorary Band Sorority promote the advancement of college and university bands. 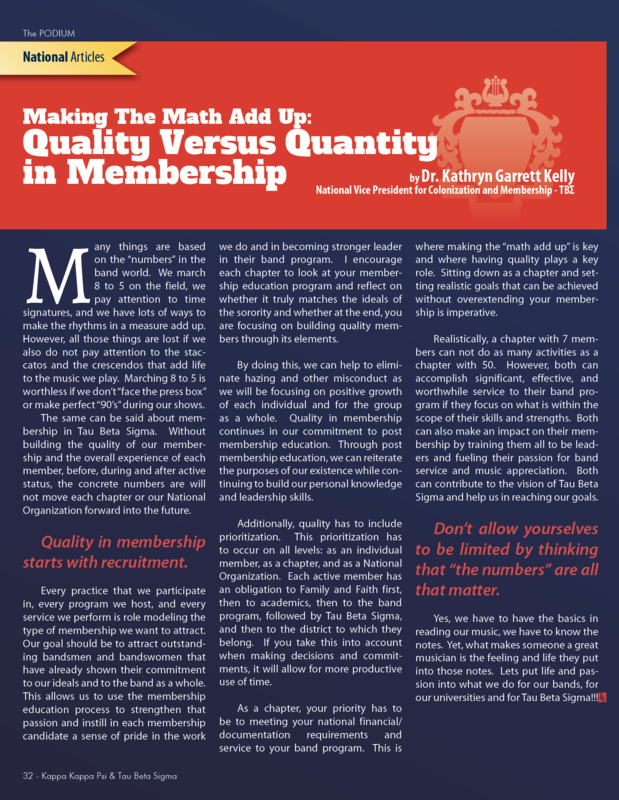 The organizations share a national headquarters and a national publication. 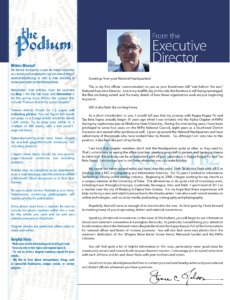 The PODIUM is that national publication. As Publications Manager & Multimedia Designer, this publication is one of my main responsibilities. 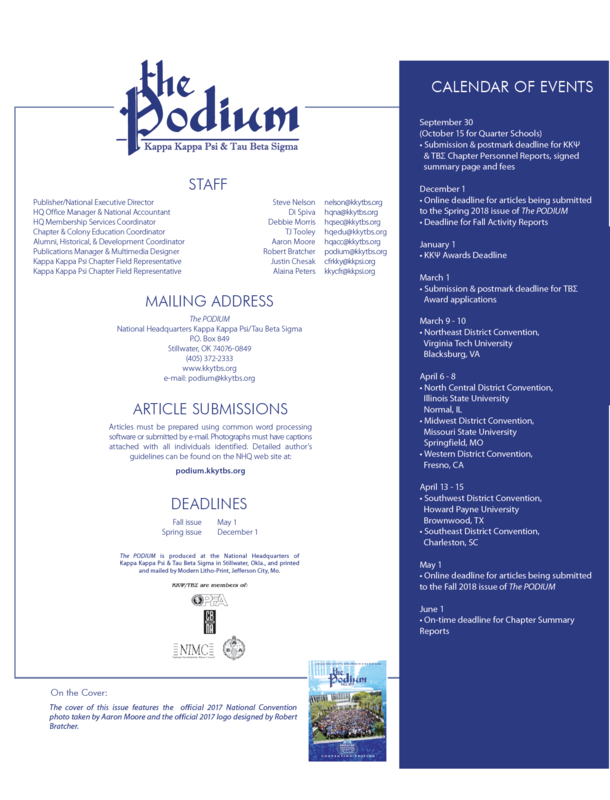 Every semester (spring and fall), an issue of The PODIUM is produced and sent to chapters and alumni members across the country. 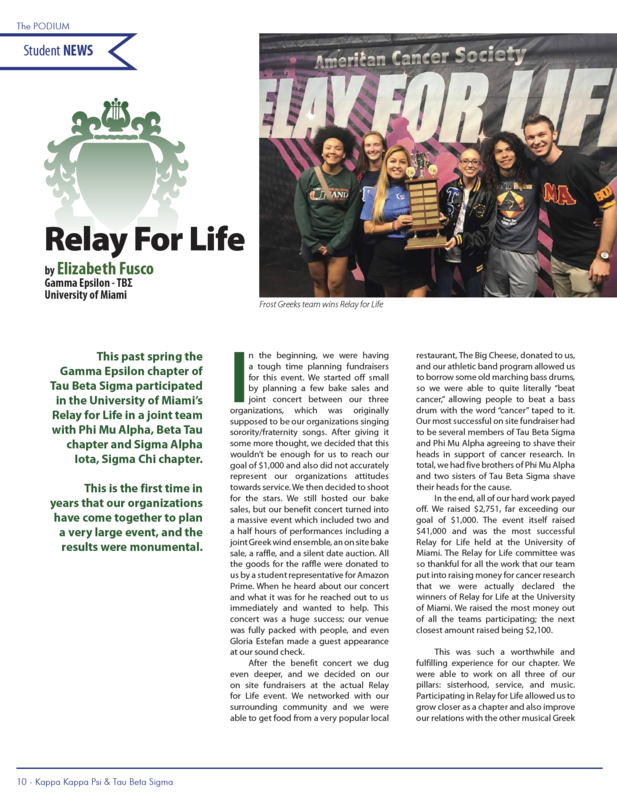 According to The PODIUM Online, the purpose of the publication is “a show-window of the college band world” and “serves as a snapshot of the Fraternity, Sorority, and the college & university band at the time”. 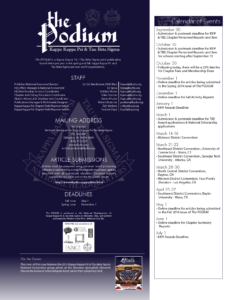 Published across multiple mediums, The PODIUM articles cover a wide range of topics relevant to Kappa Kappa Psi, Tau Beta Sigma, and the greater college band world. 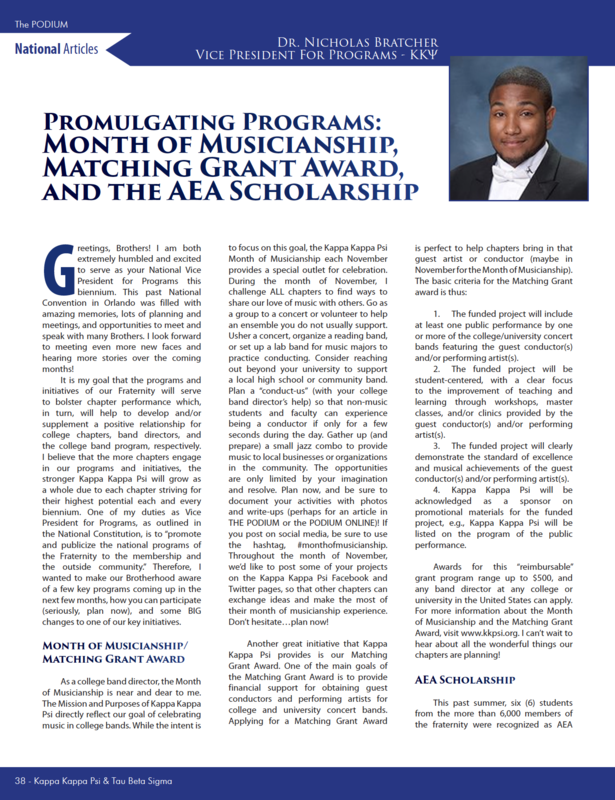 Articles aim to educate, entertain, and inspire those engaged in the exciting world of the college band through the exchange of ideas, experiences, and expertise. I’ve come a long way since I arrived in the National Headquarters in April of 2013. Before that time, I had never used Adobe InDesign before. 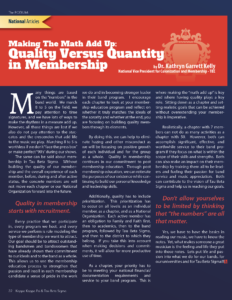 Within months on job, I had to learn enough of the program to produce a 44-48 page magazine. Recently, the 9th issue I’ve designed was released into the world. Visually, I feel like this is the best one I’ve done. The Fall 2017 issue of The PODIUM is the culmination of subtle and not so subtle changes to the layout over the years. Every cover I’ve designed reflects the theme of that particular edition of The PODIUM. I’ve written before about what a magazine cover is suppose to do. The Fall 2017 theme is the post-National Convention recap, which is the theme of most odd year fall issues. With this being my 3rd post-National Convention issue, I continued the tradition of using the official National Convention photo of the attendees. My initial idea was to have the photo cover the entire area and place The PODIUM logo within the picture. However, due to the dimensions of the photo, I had come up with a new idea. I made two copies of the photo, with one serving as a background and another in the foreground. I overlayed the light to dark blue gradient (made with the same blues from the 2017 NatCon logo) onto the large background photo. I placed the smaller version of the photo on top as if it was a physical photo laying on top of a table. Drop shadow was added to the photo to help with the effect. I placed the official 2017 NatCon logo with the text “CONVENTION EDITION” at the bottom to put a stamp on this particular issue’s theme. Throughout my years here, I’ve experimented with the design of the inside of the magazine in an effort to improve and evolve the magazine. I’ve altered the masthead, the calendar of events, and the From The Executive Director page. 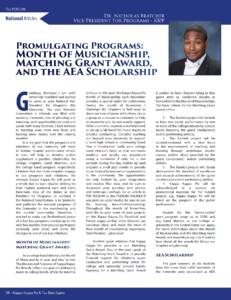 I’ve completely overhauled the table of contents and other elements, drawing inspiration from professional, entertainment, and other fraternal publications. Subtle yet important touches include increasing the space between text columns as well as the space from the edges of pages. The additional white space makes the magazine cleaner overall. In the Fall 2017 issue, I’ve arrived at an article format I really like. I gave the title text more weight and have an excerpt that acts as a preview of the content within. 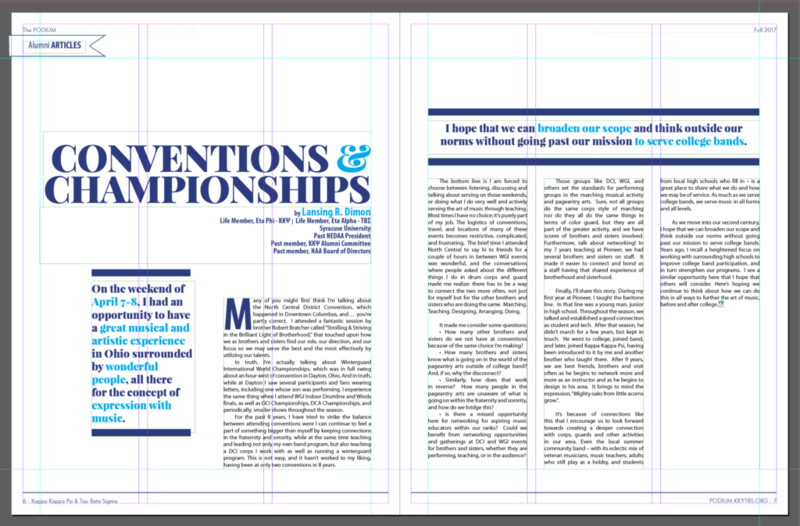 I’m very visually satisfied with this layout, which is still flexible throughout the magazine. The tradition of using one of the colors of the author’s school continues in this issue and work well in this new style. 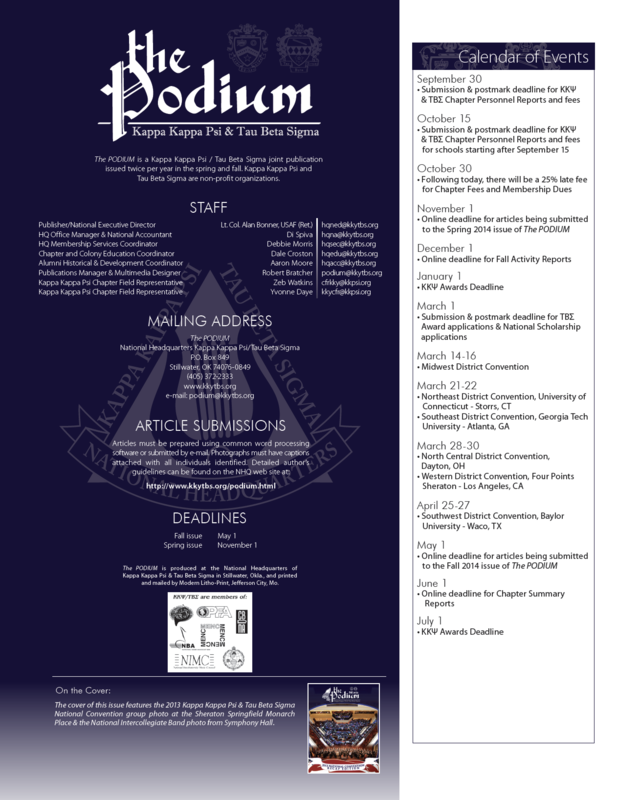 The National Officers section is where National Leadership submits articles for publication. They usually promote national initiatives and/or provide important news or advice to members. I completely changed this section to be more readable with dark text on white paper. The blue top and bottom sections let the reader know they are in a different section with a different purpose. I always want to design something that is clean yet still distinctive. The author and their title moved to the top to make room for their photo. Having the officer’s photo beside their article puts a face to the important name, creating that connection for the reader. I’ve gotten great feedback on this latest issue of The PODIUM magazine. It’s the closest to what I’ve always wanted to The Podium to be visually. Through trial and error, research, and the support of those who I work with I learned how to make a national magazine and then how to steadily improve it. I’ll always strive for greater design, clean yet creative, for the Fraternity and the Sorority. Fall 2017 Edition of the Printed Podium Publication is now available to read online. Hilton Buena Vista Palace – Disney Springs. Brothers and sisters from across the country arrived to pick up their registration packets for the 2017 National Convention of Kappa Kappa Psi & Tau Beta Sigma. After months of work and years of anticipation, people would get to see what we had been working on. It was on this day that much of my work was finally released into the wild. Seeing people rave about the official convention shirt and flip through their convention souvenir program/schedule really made me happy. I pour a lot into the branding of every national convention. I want my designs to not only look good but work well. Many confirmed to me, throughout the week, that I had achieved both. I never do what I do for attention, accolades, or praise. Those things are the beautiful by-products of the time and effort put in. The appreciation received validated that effort. What Should A Magazine Cover Do? 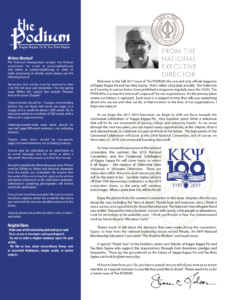 As the National Publications Manager at Kappa Kappa Psi & Tau Beta Sigma National Headquarters, The Podium falls within my purview. 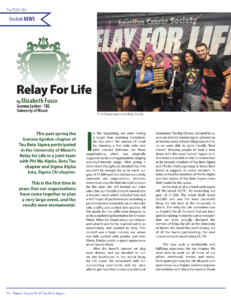 Twice a year (Fall and Spring), we send this national publication to chapters and alumni across the nation. When they receive and open their package, the first thing they will see is the cover. 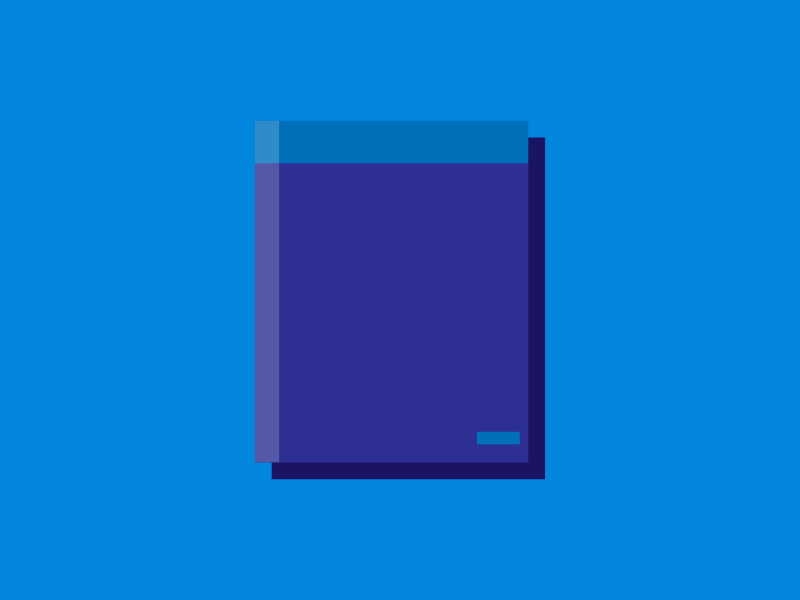 The design of the cover is important to the overall presentation of the magazine. There is a reason why getting on the cover of certain publications is considered a big deal in the entertainment industry. The cover image is in many ways the “logo” of that particular issue. It is a condensed representation of that publication’s brand and that issue. It is worth investing serious effort.